Comfort just as you prefer with special flair – Camping Christophorus offers you everything you need for a relaxing stay. With comfortable facilities, clean ablution blocks, excellent gastronomy and plenty of attractions located close at hand. For a single night, a weekend or an entire holiday, our campsite has for decades provided guests the right flair and ideal conditions to enjoy a relaxing holiday. 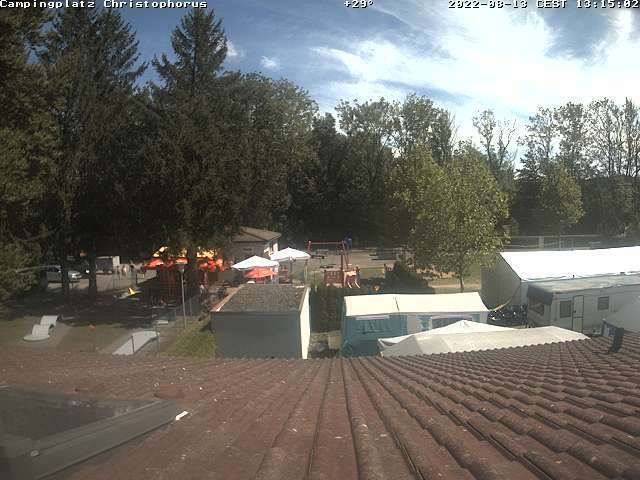 Because of its outstanding location and quick connections to Ulm, Stuttgart, Augsburg and Memmingen, our campsite is ideal throughout the year as a wonderfully situated weekend retreat. Select from yearly, summer-half-year or winter-half-year campsites.